Photographs from 1938 show a phenomenal amount of shingle being removed to make way for the foundations and lower levels of Hove Marina – the building that became the King Alfred when it was requisitioned by the Navy during the Second World War. What lies beneath today is a mystery to many. The area beneath the west side of the site is now completely derelict. It began as a car park and became a ten-pin bowling alley during the 1960s. Space was later found for a Megazone laser game centre which closed in 2004 after a court battle. 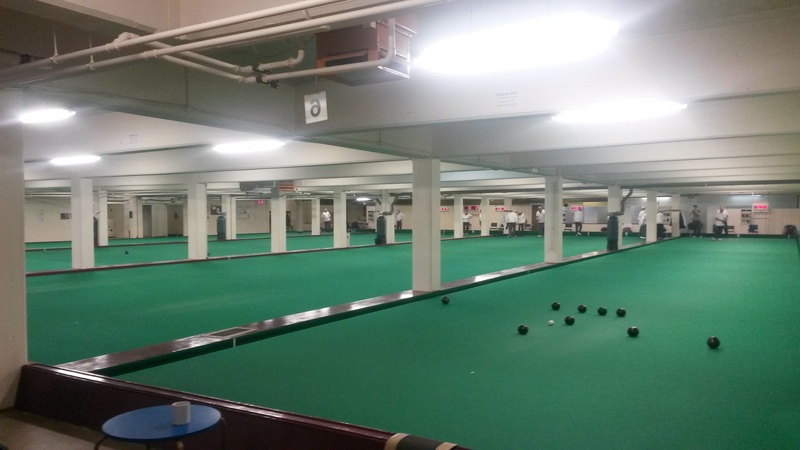 On the east side, not only have Cheetahs Gym and Brighton & Hove Amateur Boxing Club thrived below ground, the King Alfred Indoor Bowls Club has done so too for years. 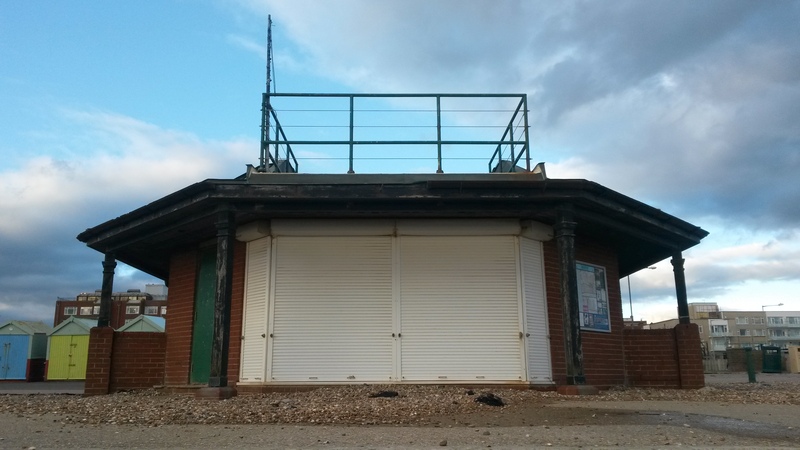 It was formed in 1946 and initially occupied part of the old car park on the west side. In around 1960, the car park on the east side was done away with and the bowling club took its place with, initially, four carpeted rinks. I visited recently for a behind-the-scenes tour. A short descent leads down to an expansive bowling area which was a real hive of activity when I visited. The club today has six rinks (two more were added in 1979) and these are framed in a somewhat striking manner by a series of large columns and lintels which hold up what is the outside trampolining area above. 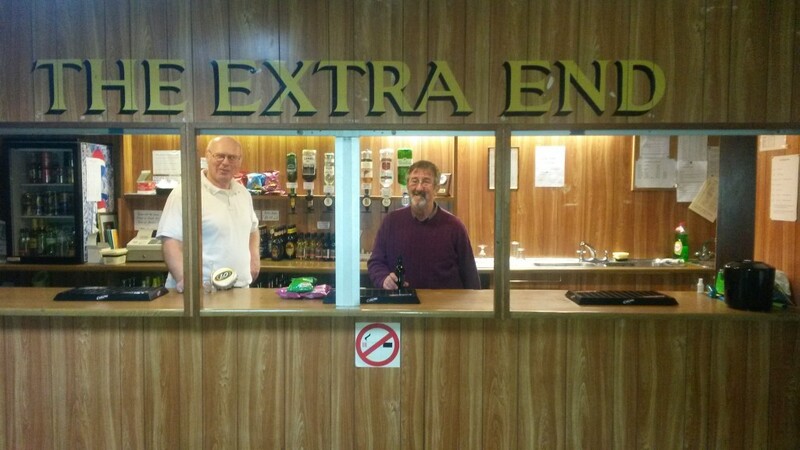 There is a spacious restaurant and bar area adjacent to the rinks where club members can relax when not bowling. Food is very much part of the bowling season though and different events come with different dining arrangements. On the club’s fixtures list, most events are either annotated as ‘Meal’ or ‘T&B’ (tea and biscuits!). It is unclear what the fate of the club will be when the King Alfred is redeveloped, whenever that may be. It is unlikely though that Brighton & Hove City Council will be proposing the sort of facility that formed part of the infamous Frank Gehry scheme. Gehry’s general offering offended many but the bowling element, which would have been built as a stand-alone facility beside Hove Park, was incredible. The case for a 50m pool as part of a new King Alfred has thousands of supporters and few opponents. The case for bowling – a very popular sport incidentally – needs to be made loud and clear henceforth. Despite a right royal snub from the greatest mourner in British history, Brighton’s connection with the macabre epitomises the cheery subject of death more than anywhere else in the country. At least, that’s what historian Rose Collis asserts in her latest book, Death and the City. I’ve written about a variety of different graves, tombs, crypts and graveyards in this very column over the past few years. In fact, my piece on the city’s most breathtaking graveyard, the Extra-Mural Cemetery above the Lewes Road, came about following a tour with Rose. But monuments and buildings say so much less about death than the act of dying itself. It was of course Queen Victoria who famously mourned for nearly 40 years following the death of her beloved Albert in 1861. And it was Victoria who disposed of the Royal Pavilion in 1850 (which Rose knows all too well as author of The New Encyclopaedia of Brighton). Brighton’s connection with death is certainly not through Queen Victoria but instead via a series of bizarre coincidences and connections that span every element of this queasy topic. 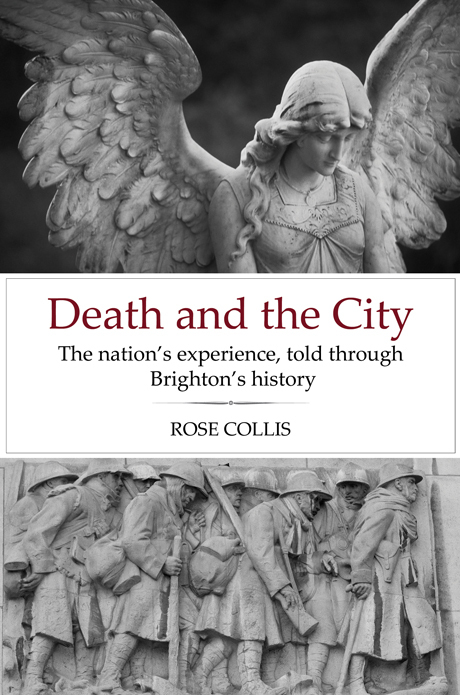 Within Death and the City, Rose points out that the first person ever to die in a car crash was from Brighton. This presumably refers to Mrs Bridget Driscoll who was hit by an automobile at the Crystal Palace in 1896. The first motorist to be killed was actually Henry Lindfield who died of shock in 1896 when he crashed his electric car on the way from London – to Brighton. I have no idea how this is actually known but the first Allied soldier to fire shots during the First World War came from Brighton (and the man who sent the telegram to end the war came from Hove). From a tour of Brighton Town Hall some years back, I recall that Henry Solomon, the first Jewish Chief Constable, was the first Chief Constable to be killed at work. He was hit with a poker by a carpet thief whom he was interviewing at the time. To this day, gruesome history is still being made. It wasn’t long ago that Brighton & Hove was drug death capital of Europe (an accolade that we were happy to lose) with the highest suicide rate in England and Wales. Rose puts the flesh on the bones of these stories and more in Death and the City. Read if you dare. As the waters rise in Surrey, Somerset, Worcestershire and other counties around England, the wind and rain continue to batter Sussex. But despite seemingly endless downpours, flooding has only taken its toll in a handful of areas across the county. As I type, Patcham, along with areas around the Arun and Cuckmere rivers, are on Flood Alert. 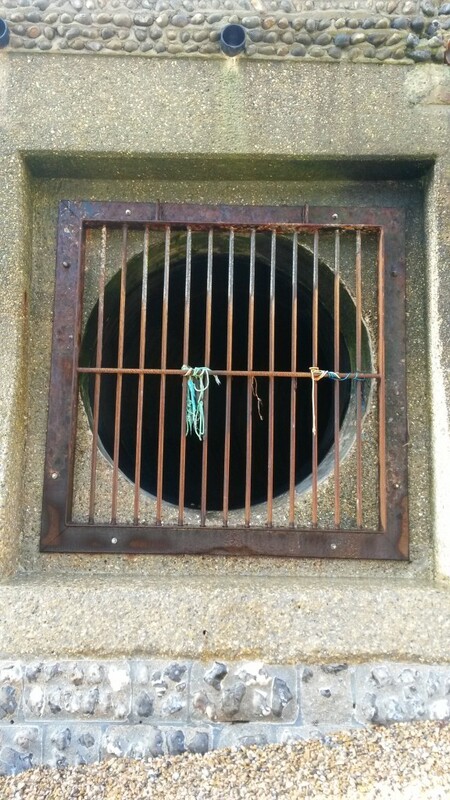 In recent months, both Pulborough and the Balcombe Tunnel have flooded. Gatwick Airport famously flooded on Christmas Day. Looking back further though, our area has suffered horrendously from both flooding and weather-related erosion over the past millennium. There was a time when Brighton, as we call it now, consisted principally of a Lower Town beneath the cliffs, approximately where the Palace Pier is now. 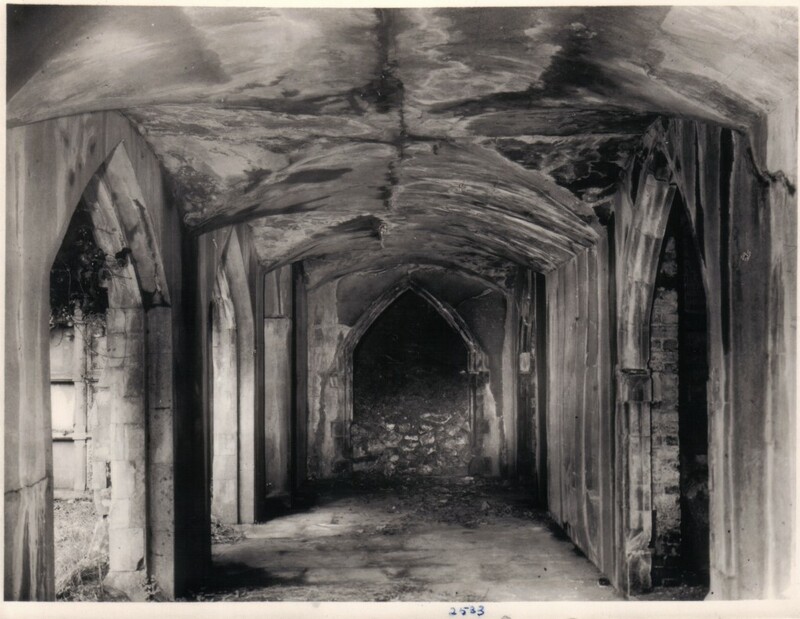 The Great Storm of 1703 devastated this settlement (a storm that also resulted in the flooding of the Somerset Levels). In 1705, a second huge storm finished off the Lower Town for good. Those who survived moved to the cliff top – where the town has remained ever since. Pool Valley, as the natural drainage point for the Wellesbourne (Brighton’s forgotten river), has been flooded many times in the past. In 1850, the entirety of the Valley Gardens was turned into a lake by one vicious storm. Basements were inevitably flooded. Water burst out into the sea through Pool Valley. 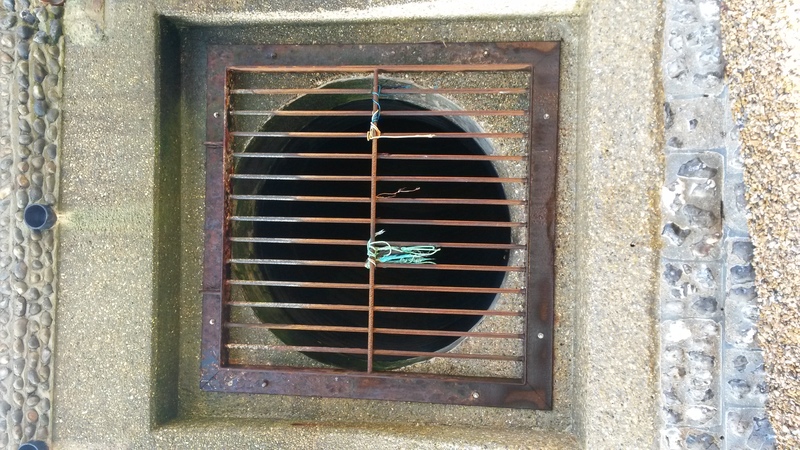 Work began on Brighton’s successful intercepting sewer system in 1871 which saw the brick-lined pipes of London Road, Lewes Road and Marine Parade (which previously just emptied onto the beach and into the sea) joined together and directed towards Telscombe. A stormwater outlet was installed within a large groyne which may easily be seen from the Palace Pier today. It stops pollution rather than flooding though. 115 mph! ), Europe’s largest stormwater drain was built beneath the promenade. One access point is a small cafe-like structure at the foot of Hove Street. This did not prevent Patcham from flooding in 2000 (nor did it help Lewes which famously suffered for weeks on end). Looking back again, the coastline of Hove has changed dramatically over the years. The Adur once emptied into the sea in front of Wish Road though that changed by the hand of man, rather than by natural causes. In Aldrington specifically, 40 acres were lost to the sea between 1292 and 1340.